The markhor is a very distinctive species of wild goat, easily identified by it’s long, white winter hair and the enormous spiralled horns that can grow to more than 50 inches in length on the males. The horns of the females are, although still large for goats, generally less than 20 inches in length. Markhor are well adapted to mountainous terrain, and can be found between 2,000-12,000 feet in elevation. 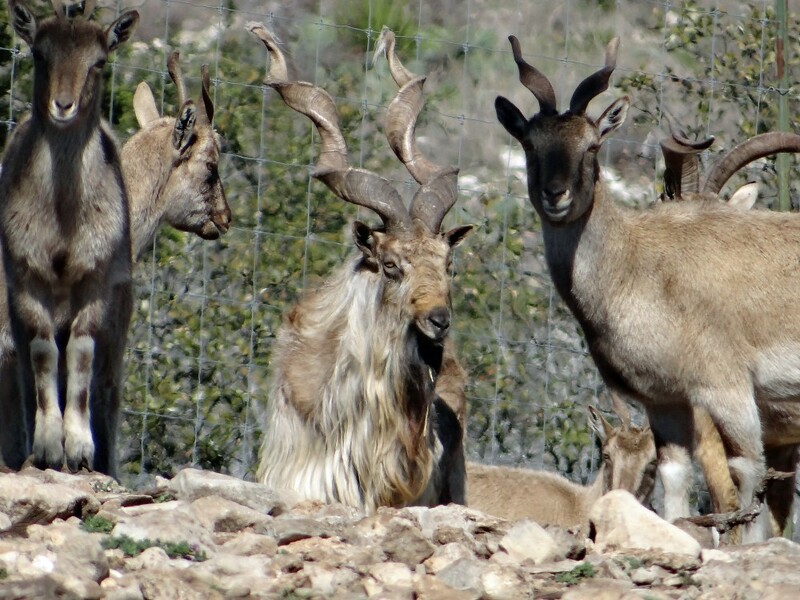 They typically inhabit scrub forests made up primarily of oaks, pines, and junipers where there is plenty for the markhor to eat. They are also diurnal animals, meaning that they are mainly active in the early morning and late afternoon.